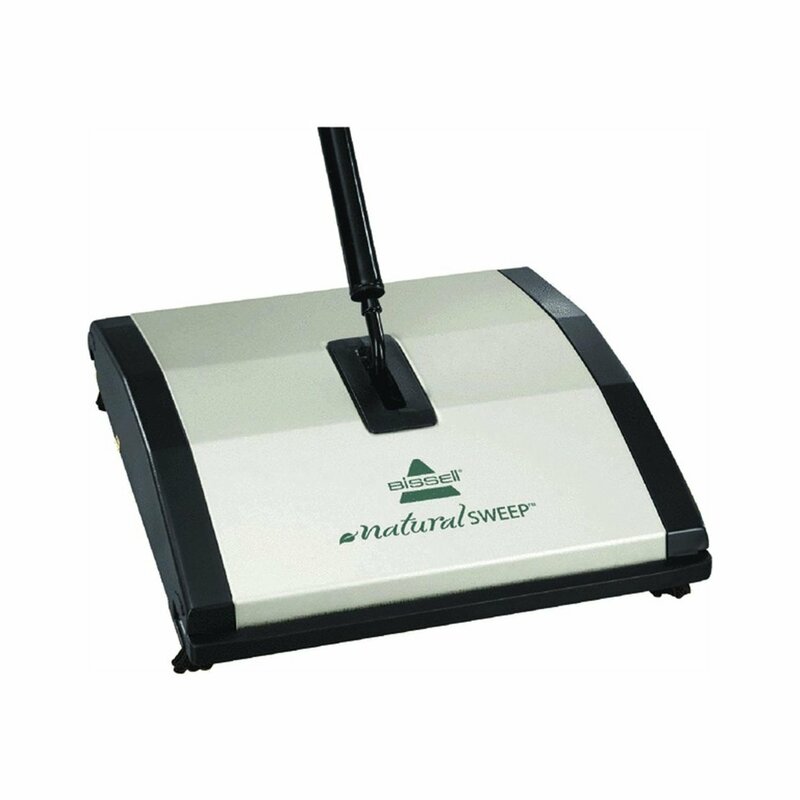 The Natural Sweep Dual Brush Sweeper is a quick way to clean everyday messes with no wasteful disposable by-products. Dimensions: Measures 4 in. x 11.8 in. x 12.8 in. A Closer Look: Contains parts that are 100 percent recycled plastic and is PVC-free. Take Care: No extraordinary measures are necessary. About the Brand: Bissell's goal is to help you improve the ways you take care of your home, right down to the microscopic irritants. Since 1876, they've spent years developing cleaning tools designed to keep your living environment up to the highest standards.